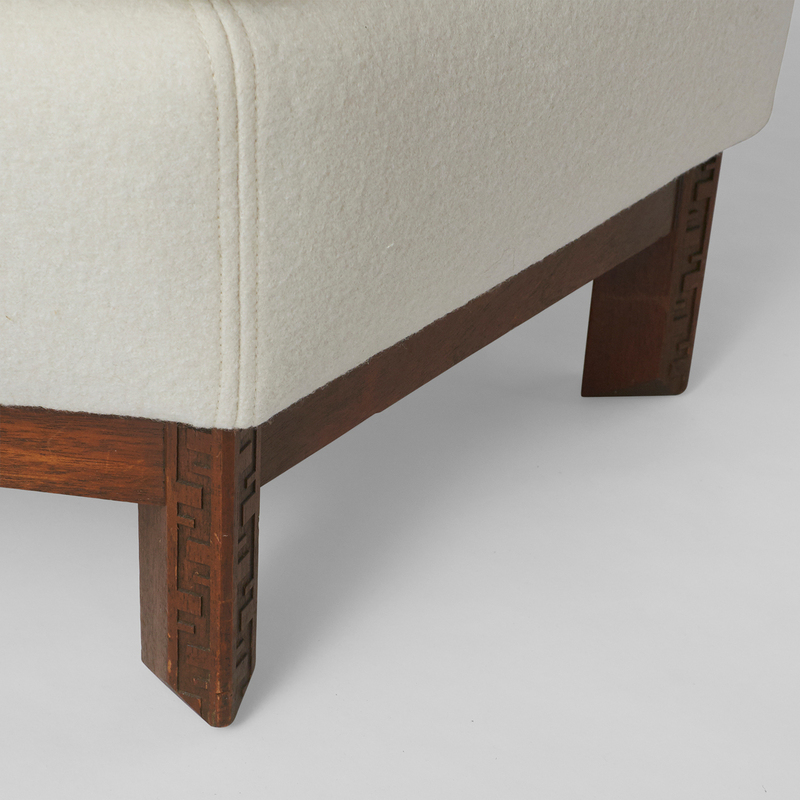 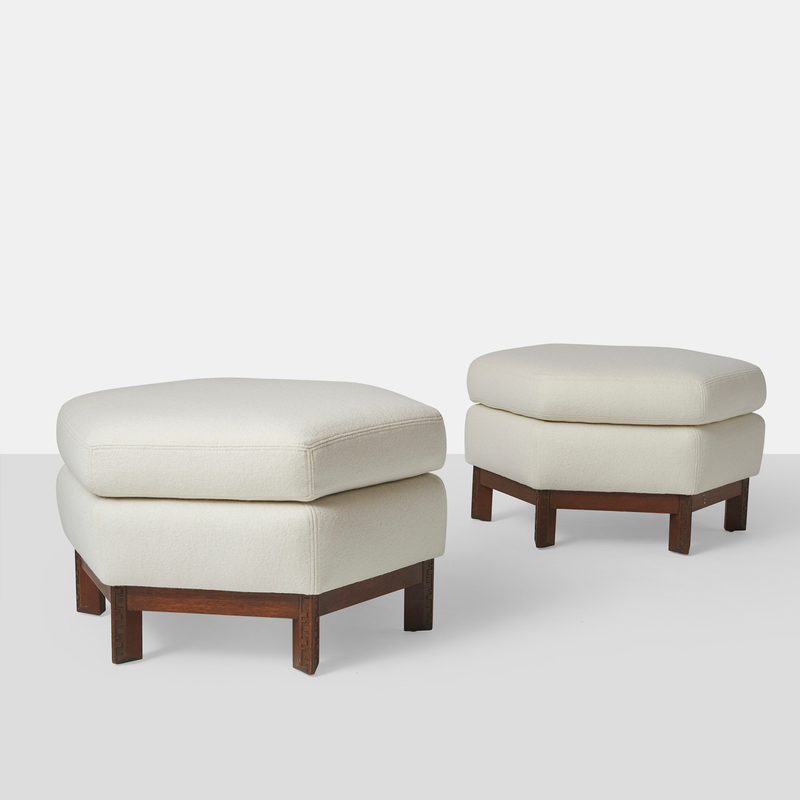 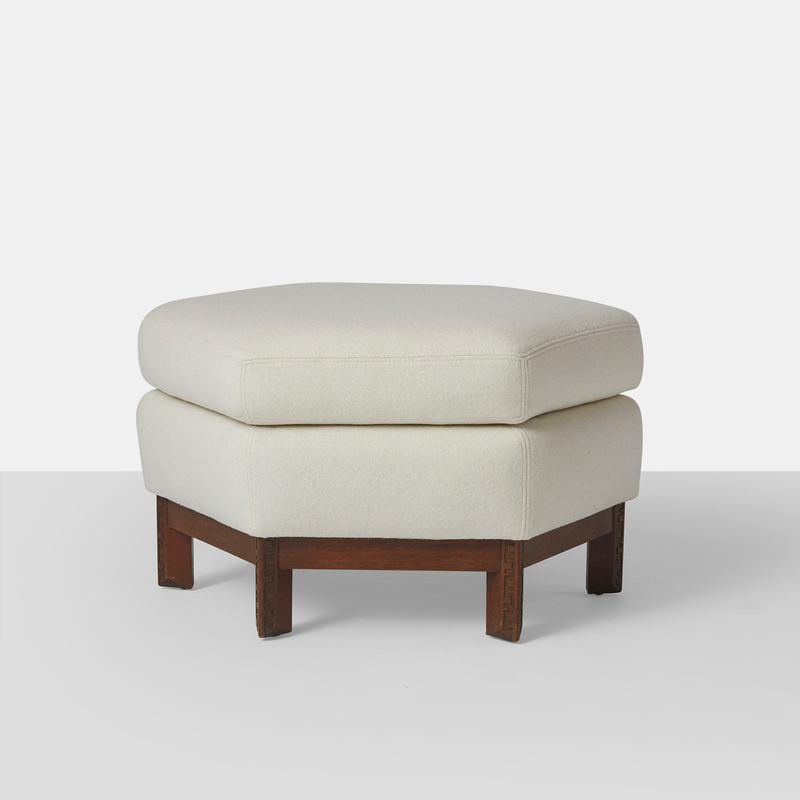 A pair of Frank Lloyd Wright hexagonal ottomans, each having a semi attached seat cushion, and rising on geometric Taliesin style mahogany legs. 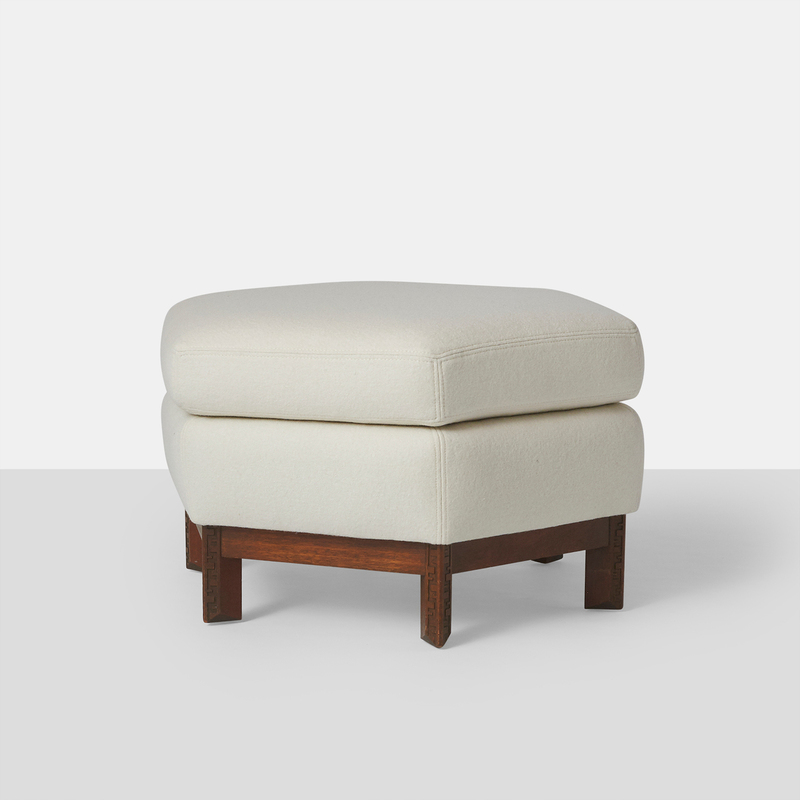 Restored in a luxurious boiled wool fabric from Holland & Sherry. 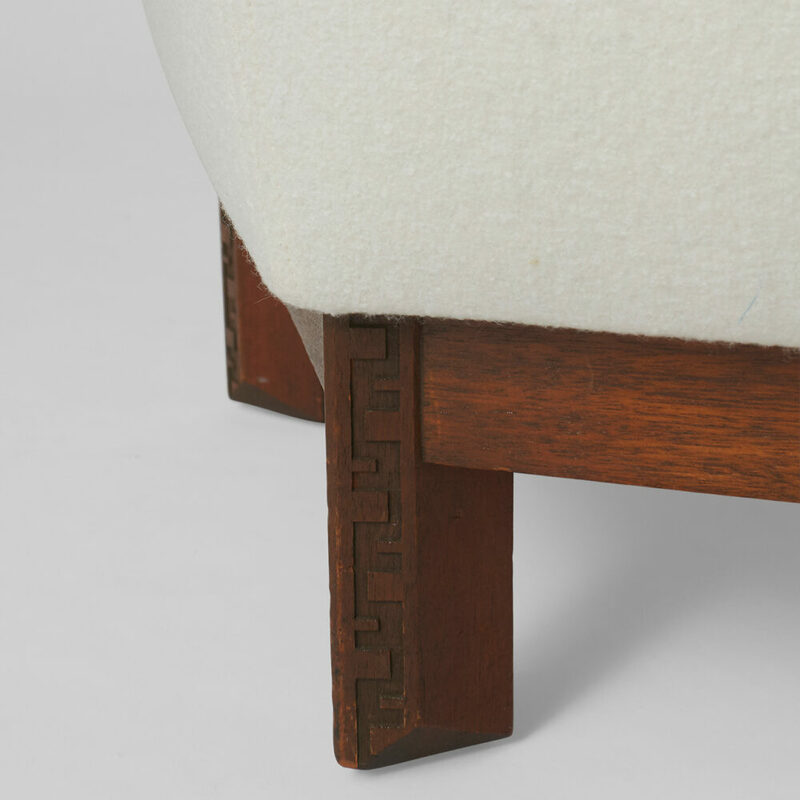 Manufactured by Henredon.